Now for some real news, not the fake nonsense of which we have seen much today. Michy has signed, no option to buy. It’s a loan until the end of the season. It will be very interesting now to see how Roy deploys his bevy of strikers. Potentially not good news for Wickham here on his road to recovery. Batshuayi didn’t set the world on fire lately but at least he is not a big lump target man and will bring a different type of forward to our ranks. Suspect we'll still see Ayew start the next couple of games with 10 minute cameos from one of the other three whilst they get adjusted to the Premier League again. Schlupp in place of Zaha too. Just woke up and checked my phone to see if by chance we'd signed anyone and see we're headline news! Right then Mitcy lad,come score some goals for the Palace then! Solid loan deal for us. Hopefully will bring some excitement to the asttack but I am also hoping that Tekkers or Wickham come good as well for the long term as they are permanents. COYP !! Assuming he has been playing for Valencia and given the huge wages I see no reason not to start him on Saturday. He has to be better than Ayew and if tired Wickhem can come on! Seeing as Roy seems to love Ayew if I had to take a punt I'd say Benteke won't make the bench. 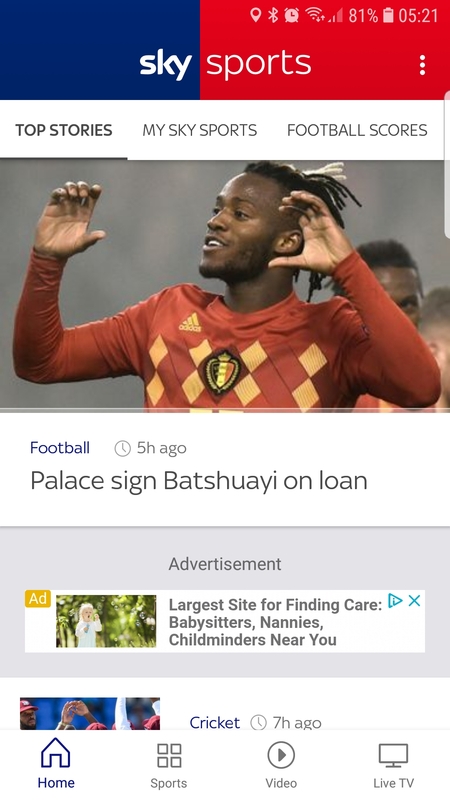 Remember we had an offer accepted for Batshuayi before. It was an odd process that seemed like it was to help Chelsea buy him.